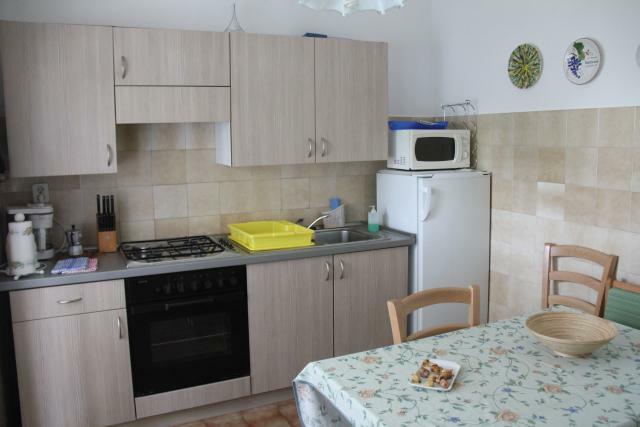 If you are heading to the island Krk, and are looking for accommodation in Malinska, then you should read this article about apartments Jasmin. Next stop while writing a tour guide about Krk island was Malinska. This village is located on the west coast of the island Krk. We spend four days in a cozy apartment Jasmin, which is owned by the spouses Pungeršek. When we arrived at the street Palih Boraca 11, we were already expected by Mr. Silvestar Pungeršek. He opened the door to the courtyard, where we parked the car. Silvo is an 80 years old gentleman who made sure that we had everything we needed while staying in the apartment. Air-conditioned apartment, accessible for disabled people, since its located on the ground floor of the house, measures 62 m2 and has two bedrooms (one room with a double bed and the other with twin beds), living room with a couch that can be turned into extra bed, bathroom with toilet and one separate toilet, extremely rich equipped kitchen with a variety of household appliances (nothing will be lacking), a satellite TV, a good Wi-Fi connection, a large terrace with a beautiful landscaped garden, which is great for families with children. On the terrace you can also grill. Mr. Silvo was extremely hospitable to us. Upon arrival, we were welcomed by homemade dried figs and aperitif. Silvo and his wife, who was due to health problems currently unfortunately in the hospital, together make sure, that the only apartment they offer is very nicely decorated, and that the guests really get a sense of being welcome. This is confirmed by guestbook, which is filled by visitors’ warm and kind words. My feelings during the stay in apartments of spouses Pungeršek, and I think as well feelings of other guests, were on a point when you feel like you are visiting your grandfather and grandmother. They really do take care of their guests with love, guidance around the city, various specialties, and their presence. 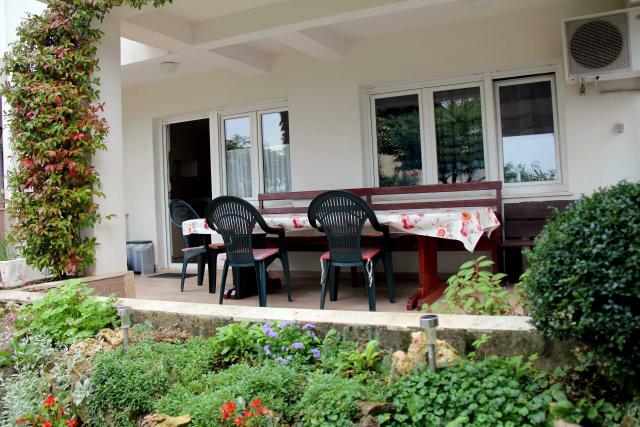 Guests love to stay in this apartment and come back every year, since they are highly satisfied by the hospitability and the comfort of the apartment, as were we. Silvo had offered us a tour of Malinska and took us to an interesting ethnographic museum that is not opened for public, he as well gave us a tour around town from the local point of view. And that was not all, he took us on his boat and drove us around the coast of Malinska, where he told us a few interesting stories about the history of the town. We were very grateful for this experience. 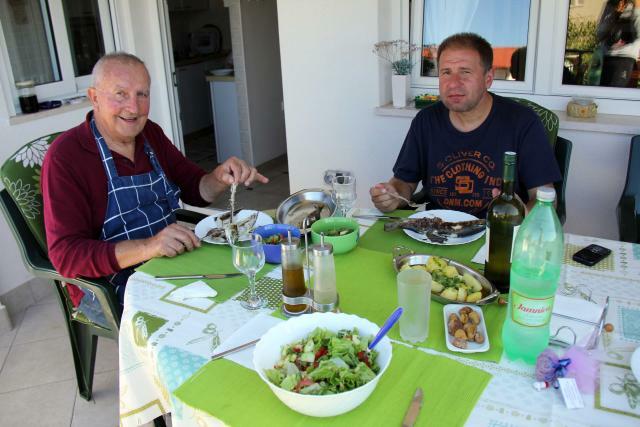 Silvo is also a grill master and he likes to prepare his specialties to the guests, so we ate lunch together as well. Spouses Pungeršek invest the money that they earn into the renovation of the apartment. They say that happy and satisfied guests presents their biggest pleasure.